My family is a huge fan of the Discovery Channel. I was surprised that all 3 of my boys liked the programming at a young age and still do. I was thrilled to discover that the Discovery Channel has a line of educational toys. As a mom I am always on the lookout for a great way for my boys to learn. I recently was sent two toys from The Discovery Store, we received the 4D-Shark Anatomy Puzzle and the My Discovery World Map. 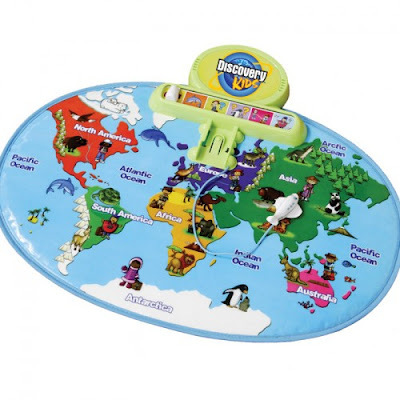 My Discovery World Map was for my toddler and I was curious how he would like it, lets just say it is now one of his favorite things to play with !! I have to say I really like that the little plane you move around it attached so it does not get lost. It is very light weight and is a great toy to take with you while on the go !! When he is playing and moving the plane around, he says"I flying" . I love seeing him using his imagination and learning at the same time. Right now his favorite part is hearing about all the animals. I really like how this toy will grow with him as he learns more and more. 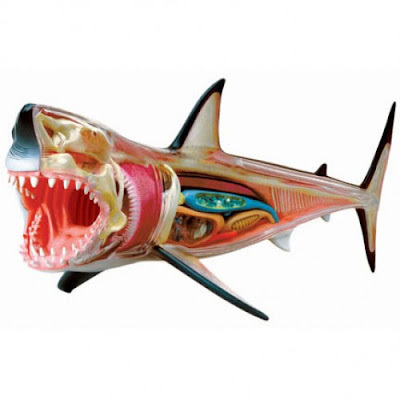 For my middle son we received the 4D-Shark Anatomy Puzzle, I have to say daddy even thought this was cool !! When this arrived he had to check it out right away. I really like the booklet that comes with it that explains how all of the sharks organs work (mom learn a lot LOL). It was fun watching him concentrate while putting everything together and learning all the functions of each part. 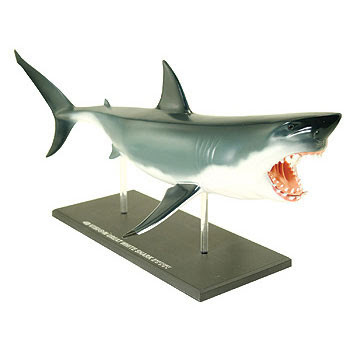 He proudly displays it in his room on the included stand and keeps moving it around , he can not make up his mind which side of the shark he likes better, the inside view or the outside view. Detachable organs and body parts allow for model building. Cutaway design allows viewer to see internal structures. Highly detailed finish and coloring create high quality effect. Includes illustrated booklet with organ funtion and description of the animal. Comes with display platform for showing off your model. The 4-D Shark Puzzle would be perfect for my nephew.